The AT&T building in downtown Cleveland, Ohio, seen as fireworks go off at nearby Jacobs Field, in 2007. AT&T’s claim that its “5G E” network—which is a regular 4G network boosted with some technical tricks, misleadingly rebranded as next-generation 5G—has helped make it the fastest carrier in the country doesn’t tell the whole story, the Verge reported on Wednesday. Last week, AT&T issued a press release bragging that 5G E had helped it become the “fastest wireless network in the nation,” citing speed test data by Ookla (which runs speedtest.net). But based on an Ookla blog post this week, while AT&T did improve the speed of its network, some of the numbers the carrier cited may be less impressive than the carrier wants customers to think. 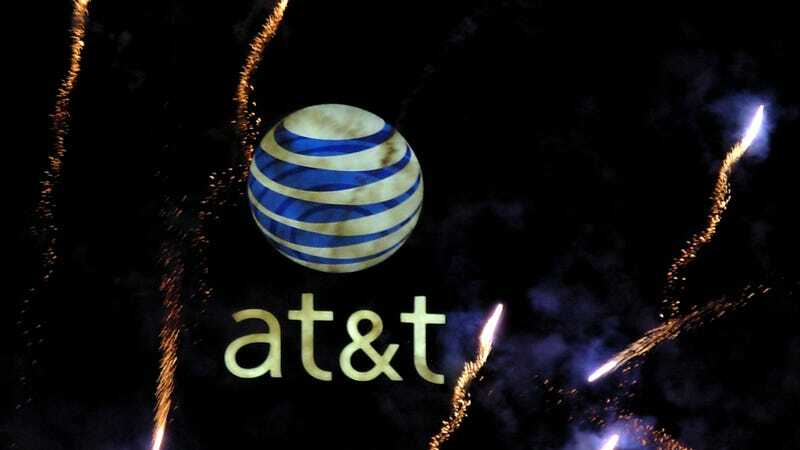 AT&T posted a sudden bump in the last week of Q1, when it claimed to have hit an average download speed of 40.7 Mbps (much higher than competitors). As the Verge noted, AT&T released an infographic last week appearing to suggest that 40.7 Mbps was its new speed standard; per Recode, the huge jump is likely because that was the week Apple rolled out iOS 12.2 and AT&T added a “5G E” icon to newer models of iPhones. Since Ookla relies in part on user-initiated speed tests, what seems to have actually happened is a bunch of people with the newest, priciest, and fastest iPhones saw the “5G E” icon and ran the test to see if their phones had indeed gotten faster. AT&T also has a significantly higher percentage of customers using iOS devices than other carriers, 70 percent, so this would have really stacked the deck in its favor. In the final week of Q1, we also observed an increase in faster tests taken on AT&T’s network. Upon investigation, we discovered that this correlated with the release of iOS 12.2 and the roll out of AT&T’s 5G E icon. We also found that the increase in tests was coming from device models that would have started to display the 5G E icon, such as the newer generations of iPhone (XR, XS Max, XS, X, 8, 8 Plus), indicating that consumers were seeing the new icon and taking a test to see what speeds they were getting. In any case, Ookla’s data leaves most of the big four wireless companies all within spitting distance of one another—and results can vary significantly based on location, with good service with one carrier in a specific region not necessarily meaning that another will perform as well. AT&T is doing better than it used to, and currently holds the lead, but that’s pretty much all. A recent study found that the limited number of smartphones that support AT&T’s “5G E” network don’t actually run faster than they do when connected to regular old 4G networks. Sprint is currently suing AT&T for deceptive business practices, saying it is misleading customers and pre-emptively damaging the reputation of real, forthcoming 5G networks being deployed across the country. Clarification: An original version of this story had a headline saying that Ookla “calls BS” on AT&T’s claims of how much 5G E improved their network; this was our extrapolation from Ookla’s results, but we’ve updated the headline to clarify the company’s findings. Additionally, this piece has been updated with further context on those numbers and how it relates to AT&T’s claims around 5G E.